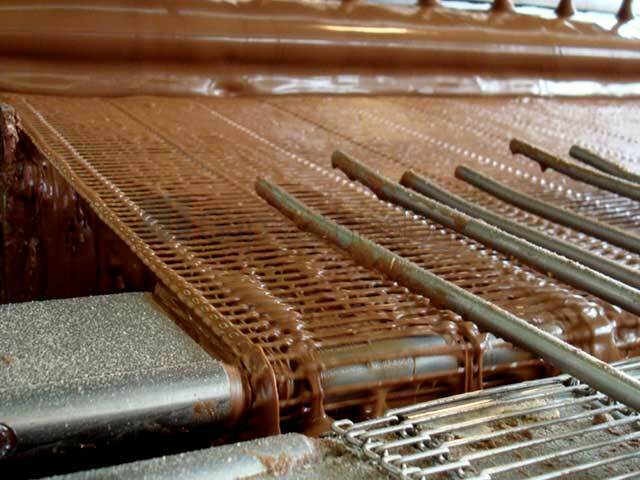 Metal Conveyor Belts are suitable for numerous applications and our range includes tight wire mesh belts which are flexible and suitable for conveying small parts, smooth surface belts for precise transfer or large open belts to facilitate the flow of air/water through a cleaning process. 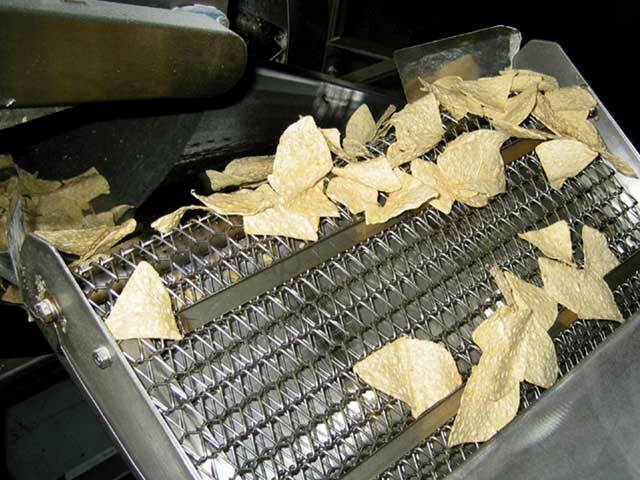 Metal Conveyor Belts are also used to convey metal parts such copper, aluminium, bronze and iron through furnaces, drying textiles or chemicals and in the food industry for cooking / baking, freezing and canning. 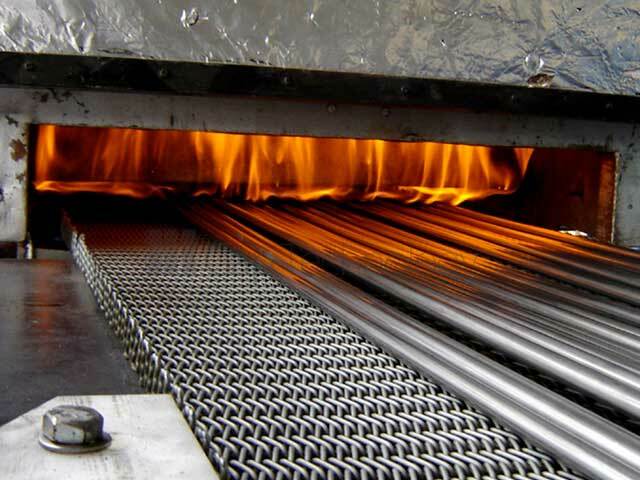 Metal Conveyor Belts TYPE 200 – This type of Metal Conveyor Melt is produced from densely woven spiral wires. Alternately left or right woven spirals are interconnected by vertical transverse rods. The ends of these transverse rods are finished in a loop or incurvation inward or welded. 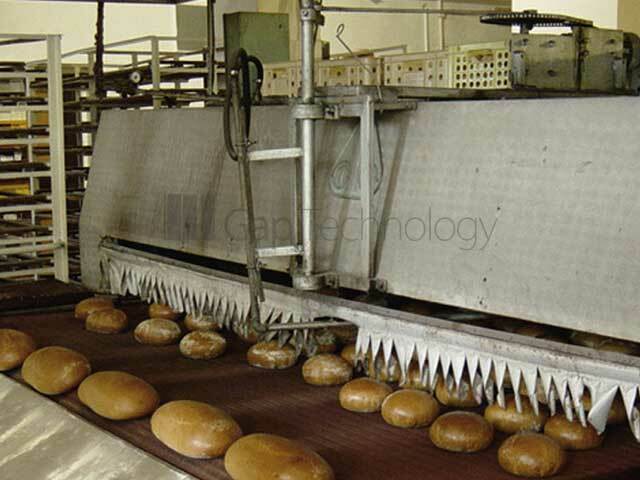 Metal Conveyor Belts TYPE 300 – These type of Metal Conveyor Belts are produced from widely woven flat spiral wires. Alternately left or right woven spirals are interconnected by crimped vertical transverse rods. The end of these transverse rods are finished in a weld, a loop or incurvation. Metal Conveyor Belts TYPES 330 and 340 – This type of belt, as well as the type 300, is produced from widely woven flat spiral wires. However, for reaching maximal density, this type is produced with more transverse rods per one pitch (3 or 4). The ends of these transverse rods are finished in a weld. The spiral wire is flat in this case. This type is very thick and keeps heat well. 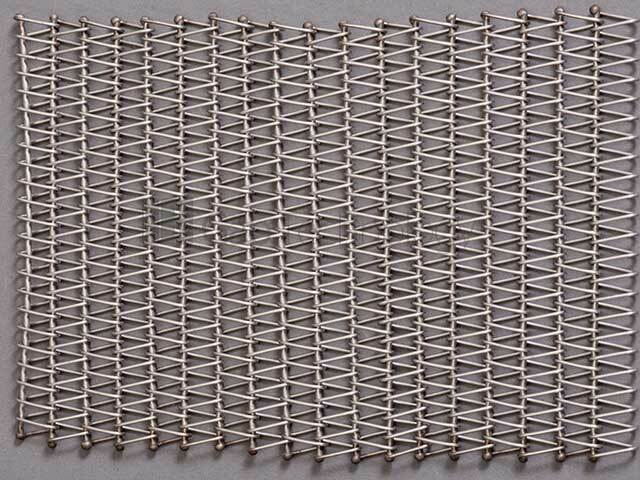 Metal Conveyor Belts TYPE 400 – This belt is produced from widely woven orbicular spiral wires. Alternately left or right woven spirals are interconnected by crimped vertical transverse rods. The ends of these transverse rods are finished in a loop, incurvation or weld. Metal Conveyor Belts TYPES 430 and 440 – This belt is produced similarly to the type 400 from widely woven spiral wires. However, in order to reach its maximum density, it is produced with more cross rods per one pitch (3 or 4). The ends are finished in a weld, thick and keep heat well. Metal Conveyor Belts TYPES 500 and 502 – This Metal Conveyor Belt is produced unilaterally woven spiral wires (either leftward or right). These wires are mutually connected by cross rods ended with a weld. Another version hereof may be represented by the belt with doubled spiral- type 502. 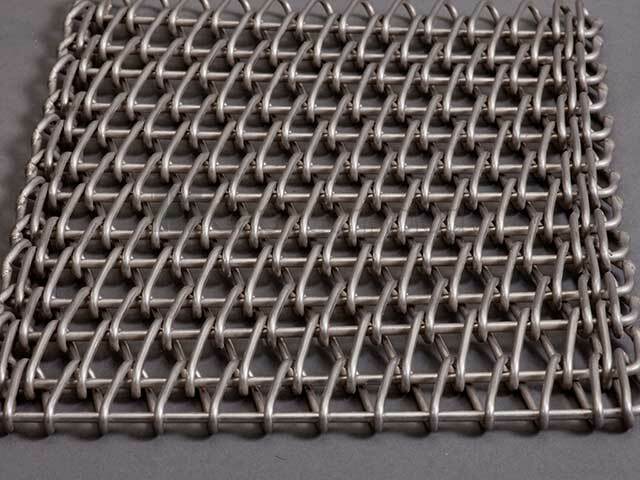 Metal Conveyor Belts TYPE 550 – These Metal Conveyor Belts are a simple version of woven metal belt. This belt is produced from unilaterally woven spiral wires, either leftward or right which are mutually connected. The ends are finished in a weld or incurved. 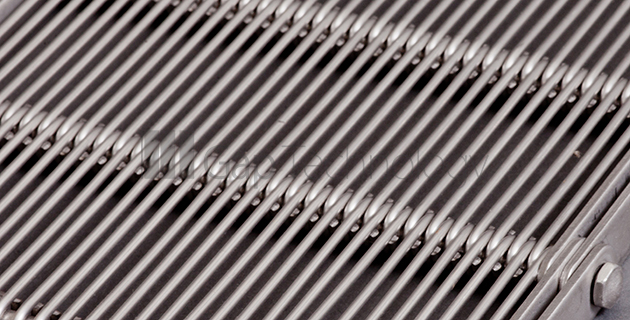 Metal Conveyor Belts TYPE 600 – This belt is a produced from cross bars which are alternately interwoven with steel wires. The cross bar may be either straight or crimped. At the belt ends the bars are either bended or welded together. 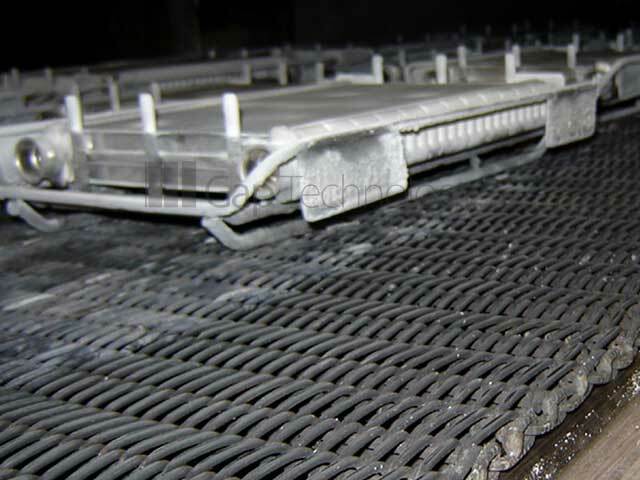 Metal Conveyor Belts TYPE 700 – This belt is a produced from regularly bent interwoven wires. The wires are bent not only horizontally but also vertically, therefore it is possible to bend them on a small contact edge, however, in one direction. If the belt is not installed correctly, this may result in permanent deformation or damage of the belt. The wires are finished in a loop at the belt ends. Metal Conveyor Belts TYPE 750 – These Metal Conveyor Belts are produced similarly to the type 700, however, the wires are straight, not bent. The wires are finished in a loop at the belt ends. 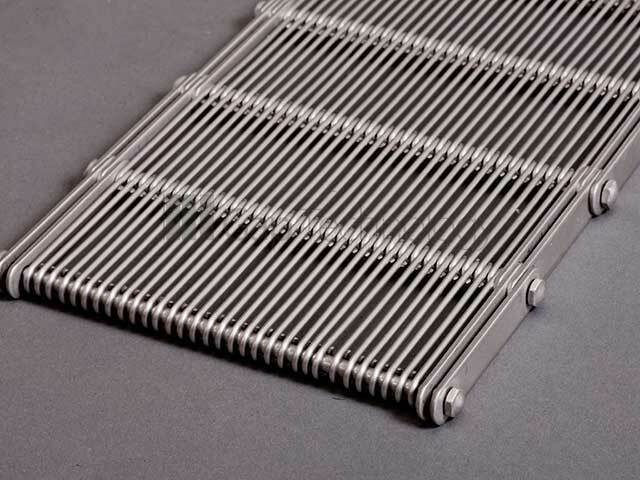 Metal Conveyor Belts TYPE 800 – This belt is made of cross rods which are threaded with short longitudinal wires in the required density and finished in a loop at both ends. The density of the belt is determined by the distance between individual longitudinal wires, from the biggest one, where the longitudinal wires are placed close to each other. to the smallest one, where the distance between them is determined by either rollers or springs. Distance definition as well as reinforcement of the belt is performed before welding of other cross bars on longitudinal wires. 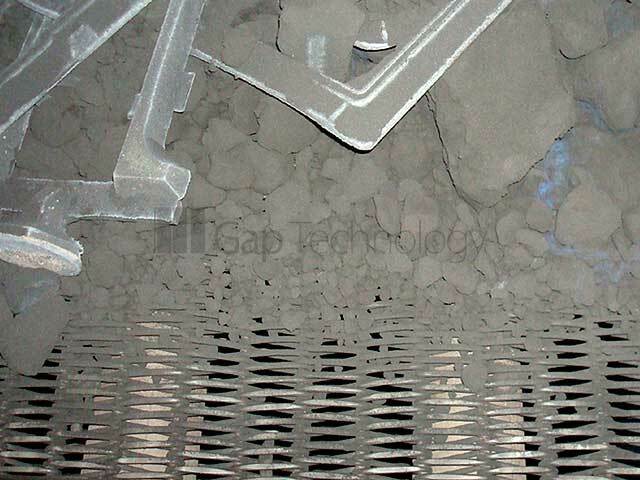 For belt reinforcement instead of longitudinal wires lamellas of flat steel are placed on the sides and inwards of the belt. The ends of cross rods are finished either in a thread with a nut or welded. 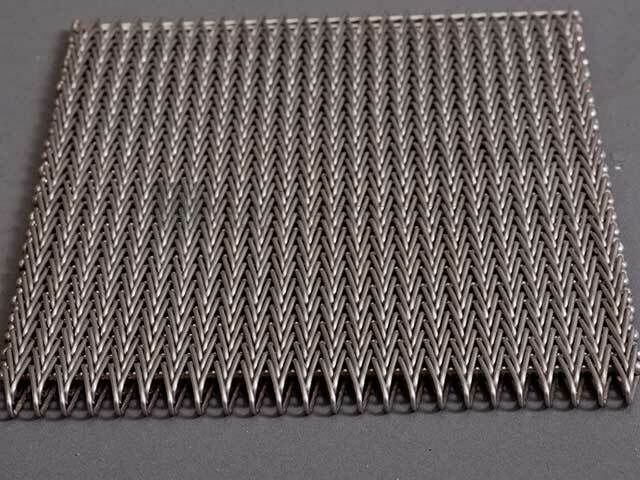 Metal Conveyor Belts TYPE 900 – This belt is made from cross bars on which flat bent steel profiles of various size are threaded (honeycombs) which determine mesh size. The ends of cross bars are ended in a weld. Metal Conveyor Belts TYPE 1000 – The way of this Metal Conveyor Belt production makes it able to move into bending by means of special equipment. This is possible due to a cross bar placed loosely, which may create different pitch size. At the end of each bar special eyes for toothed wheels are threaded and welded. Between cross bars there may be spiral wires placed, however not necessary. 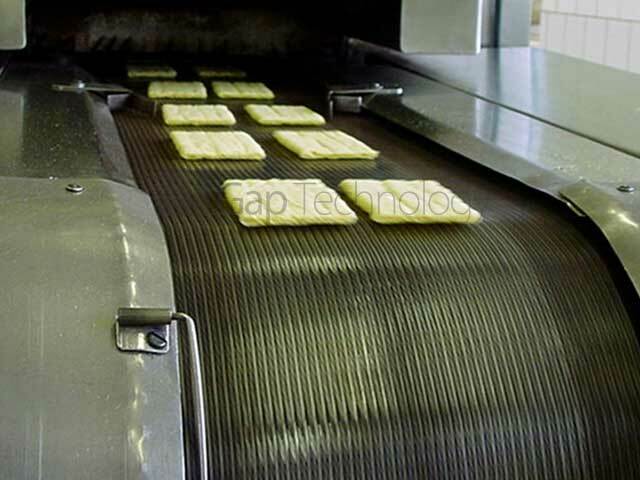 Metal Conveyor Belts TYPE 1500 – These Metal Conveyor Belts are made from metal lamellas of different width and length. Cross bars are threaded through their edges. The ends of these cross bars are always finished with a roller chain. Between the end of lamellas and the chain there also may be side plates. 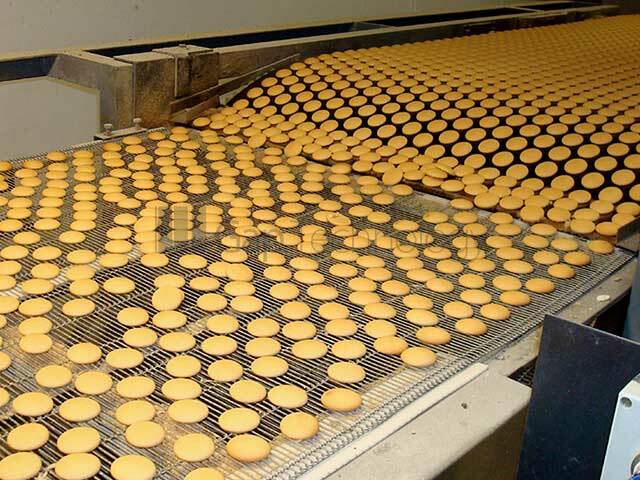 The lamellas are produced either full, perforated or with small bubbles on the surface in order to prevent products from sticking on the belt surface.